The Macnab family had lived in their home, in Edinburgh’s Georgian New Town for 21 years before they undertook any major renovations. The house was purpose built originally to include the ground floor, basement and the sub-basement. The Macnab’s only bought the ground floor part initially, as it had been sub-divided by previous owners. Some years later they were able to purchase the other floors as well. 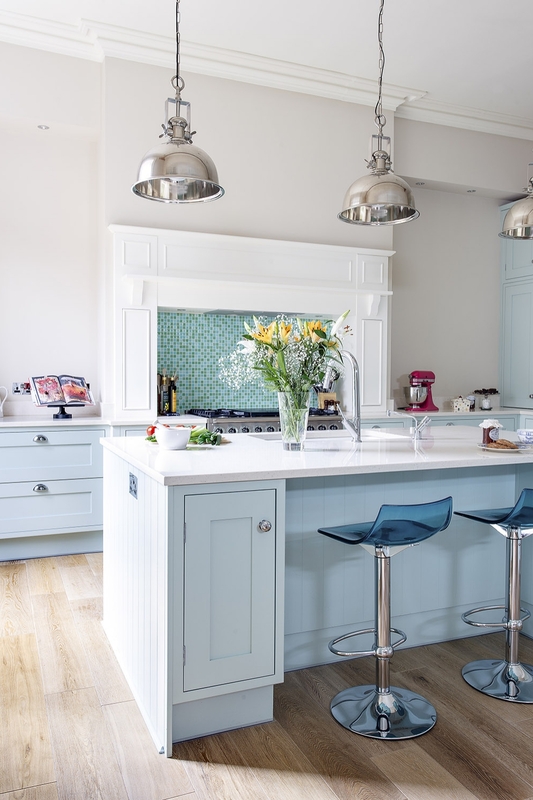 The family are keen cooks and entertainers, so the space had to not only meet the demands of a busy family but also be practical and a sociable space for entertaining. 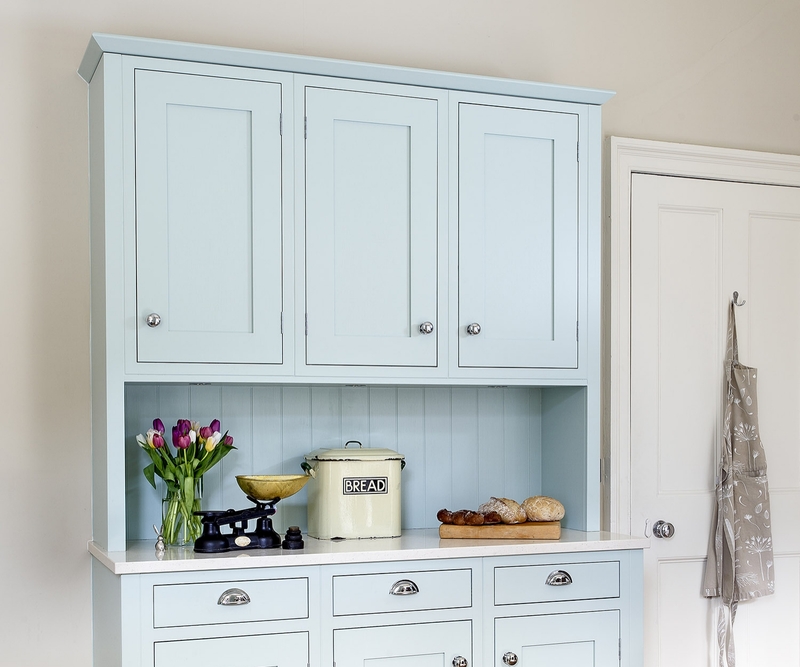 Storage was in short supply in the previous kitchen, to maximise storage this time, high cabinets were a must. Janie and Jamie dreamed of a light, fresh, welcoming space that created a calming backdrop to the chaos of family life. 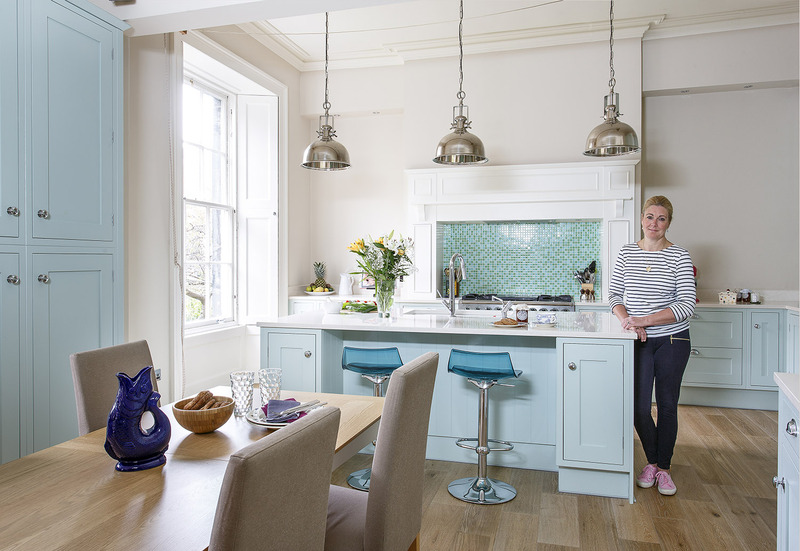 The colour scheme of the kitchen, a cool coastal palette, was inspired by a family holiday in Kenya. 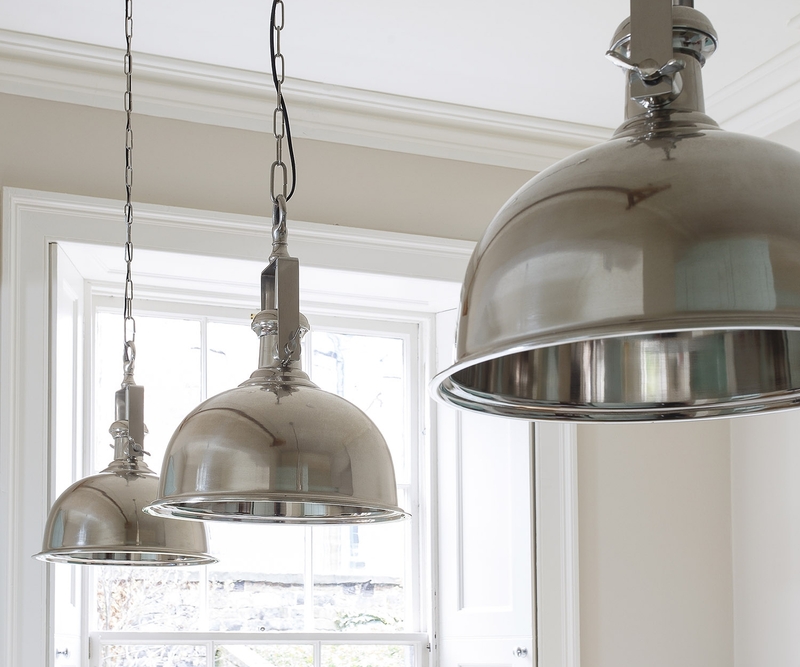 Janie chose a Falcon range cooker with a French plate for its medium size. 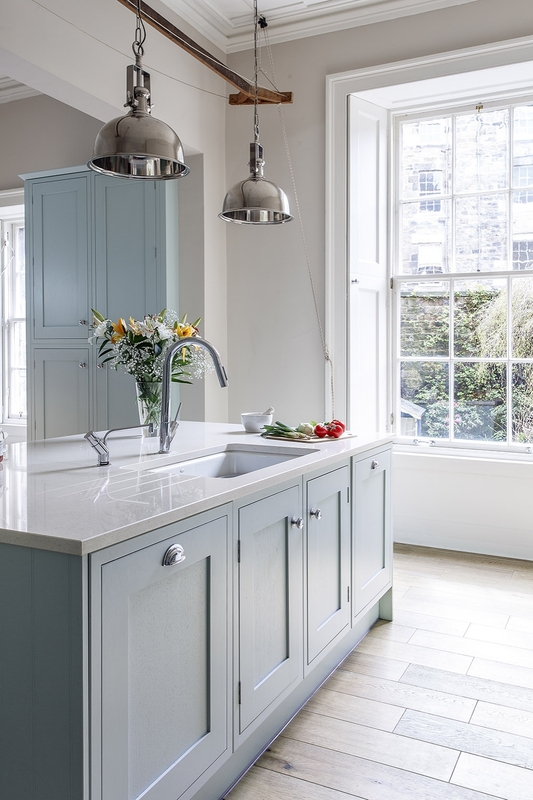 To fit a scheme inspired by coastal hues, Janie chose Farrow & Ball’s Teresa’s Green for the kitchen cabinetry, with walls in Joa’s White and woodwork in Pointing. The glass tiles contribute to the oceanic scheme. Cleverly concealed behind the over mantel mouldings are handy spice cupboards. As well as providing additional work and storage space, the island unit features a built-in dishwasher and sink. A composite Silestone worktop in Vortium gave Janie the light and uniform look she was looking for while being easy to clean and hardwearing. 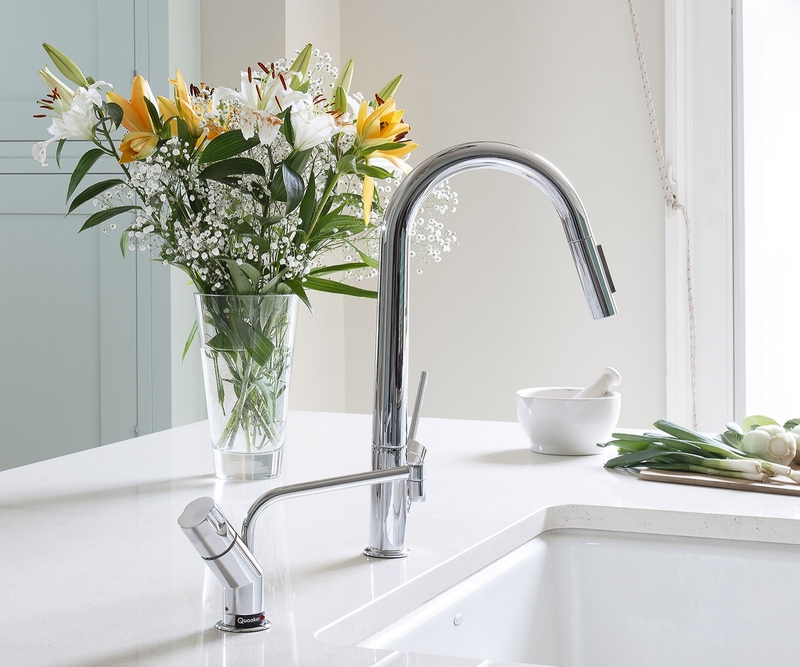 A Quooker tap provides instant boiling water. 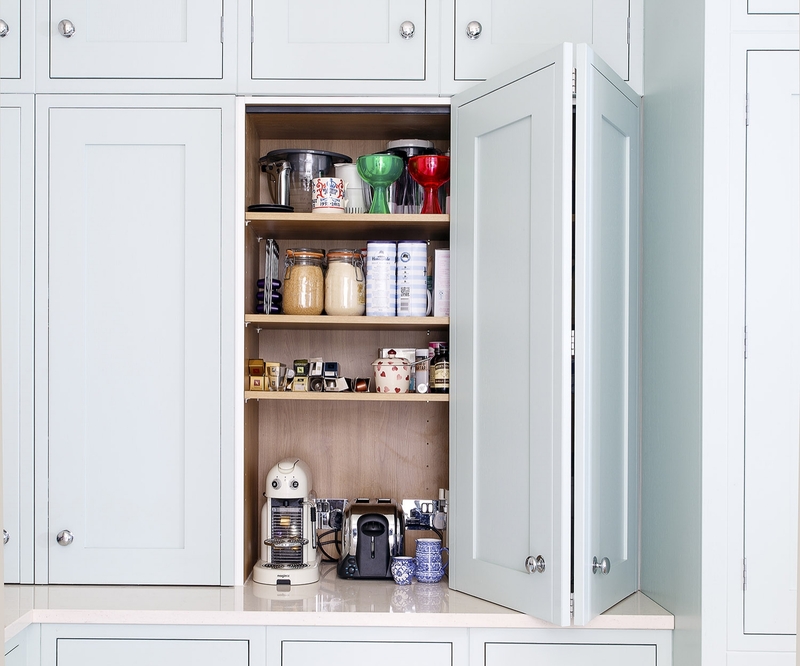 The next best thing to a walk-in pantry, this larder dresser, with smooth operating bi-fold doors, conceals plenty of shelving and hides worktop appliances while allowing them to be easily accessible, resulting in a clutter-free look.